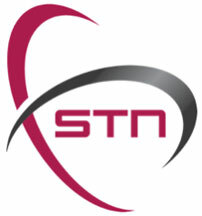 STN (Satellite Telecommunications Network), Slovenia, has announced the appointment of Mitja Lovsin to the World Teleport Association Board of Directors. As a Senior Director of STN, Mitja Lovsin has extensive knowledge of all aspects of the day to day challenges of the teleport industry and has participated in many of the WTA executive dialogues and discussions. One of his key responsible is the performance and development strategy of STN, including all aspects of global commercial sales and personnel structure. With more than 12 years in the satellite industry, Mitja has gained a strong insight into the business and has adapted his professional experience from previously held senior positions to further enhance the companies profile and advancement into new and existing regions. “I look forward to my more direct interaction and involvement with the WTA and its development plans for the future,” Mitja said.